There is a point in every career when staying with your current employer is not necessarily your best option. Perhaps your job is not a good fit for your talents and skills, or you may really dislike your boss. You may need more money, or you believe your career will never progress in the role you're in now. Whatever the reason, you may be quickly realizing that it's time to resign from your job and move on to greener pastures. Sometimes your unhappiness on the job has little to do with your employer or your job function. You may be using the job to hide out from your need to press ahead with the work that makes your heart sing, and in this case, don’t blame the job. With numerous administrative tasks, timelines, goals to meet, a demanding boss with her own goals and timelines, and a hundred competing things you need to do to be successful, your job is normal, necessary, and serves a customer. You benefit from the regular paycheck, the opportunity to grow your skills, the many fine people you meet at work, the camaraderie, and the regular schedule. But if your career goals and vision lie elsewhere, there is nothing that your poor job can do. If a novel is your current goal, a small business your dream, or a move to a city with myriad outdoor physically challenging events your aspiration, perhaps you should eventually follow your heart. Otherwise, you’ll live in a time-inverted world wherein your best hours serve your job and the hours you can fit in fulfill your dream and nourish your spirit. Many employees live this way, but if it saps your spirit and steals your soul, you know this is a serious sign that it's time to quit your job. Life at your company is changing. Your sales are down and closed-door meetings are increasing. Whispers by the water cooler are mostly about more bad news: lost customers, delayed orders, no money to lend, loan requirements that enable only already successful businesses to borrow money, orders that promise work booked only through the end of the month, rumors about layoffs increasing, and new products put on hold. No good news, and only what constitutes bad news in your industry. The rumors and gossip are enough to make you hold your breath and talk about the company’s problems every night at home. It’s good that you have somewhere to discuss your concerns, however, because many companies clam up when problems are on the horizon or even barking at the door. This is the opposite of recommended best practices, but when the environment is volatile, companies mistakenly think that saying nothing will retain employees and preserve morale. They’re wrong. You might want to be a smart employee. When problems surround you, rumors abound, and you can’t get straight answers from your boss or your company, you might take this as a sign that you may want to think about quitting your job. You have great skills to succeed in corporate life at work—or do you? In your current job, you seem to spend the most time using your least developed skills. They’re required to succeed in your core job description. Perhaps you long to research marketing opportunities and measure the results of successful product launch marketing campaigns. In your current job, you execute press releases and brochures and schedule worldwide public relations events. Not a bad job description—just one that is incongruent with your strongest skills and interests. Or you answer customer service calls and help customers use your products. What you long to do, and have top-notch skills to do, is to design training videos that teach clients to help themselves. None of these are indicative of a bad job or a poor company. You just long for the opportunity to use your strongest talents and skills. You know that, in the right job, you’ll set the world on fire. This may be a case of poor job fit. Before you begin looking for other work, make sure that you have explored opportunities to change jobs with your current employer. Job opportunities that are not posted are often available for valued employees, but you must make your job fit needs known to your employer. Despite your best efforts, if a new opportunity fails to emerge, poor job fit is a sign that it's time for quitting a job. For whatever reason, you feel as if opportunities are passing you by. You apply for promotions, and even lateral moves, only to find another employee chosen. You ask for feedback and take action to improve the suggested skills and gain the recommended experience. You apply again, and once more, you're bypassed for your desired opportunity. You’re unable to identify the real reason, but your boss’s repeated excuses, such as you need more experience, don’t fly. Perhaps you’ve made yourself too valuable where you are. Perhaps you’re doing a poor job of presenting your skills and knowledge. Maybe you’ve alienated co-workers or an important boss somewhere along the way. Whatever the problem—and often, despite asking, you are unlikely ever to know—it seems as if opportunities are continually passing you by. 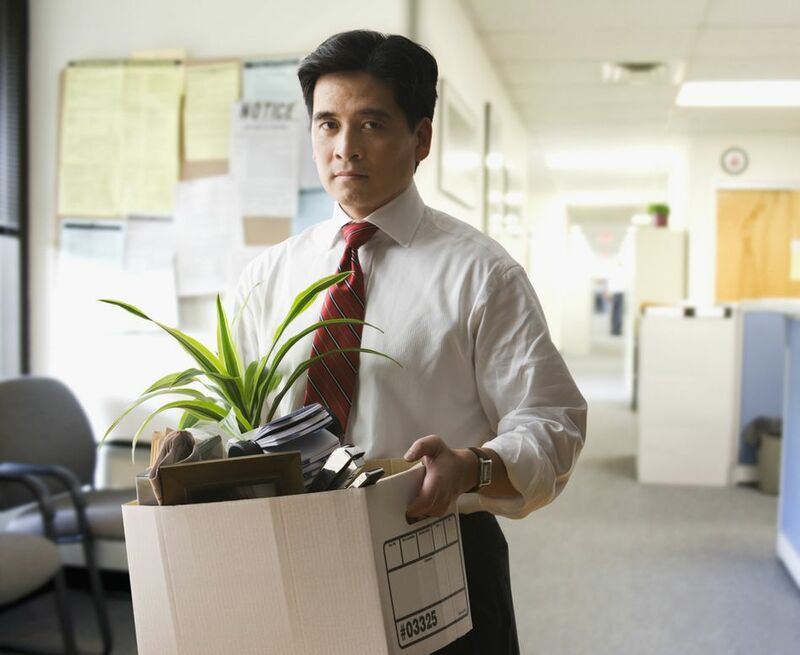 These lost opportunities are signs that you may want to think about quitting your job. You joined a company with a fun, laid-back corporate culture. You excelled in an environment that allowed you to exercise the quirky, fun-loving portions of your skills and nature. But something changed. Your company was bought out by a staid and stable older concern and the new culture is taking over. It’s gradually shaping a new workplace that may not be appropriate for you. Maybe a new CEO or department head came onboard and the focus has turned corporate. Where once you could talk with your boss’s boss and no one batted an eye, now such an action is looked on with suspicion. Perhaps your emphasis has been on generating new consumer loans but credit guidelines are now so tight, and you are now so limited in the applications approved that you are failing to generate new business. A thousand different scenarios are possible. But they all have one thing in common. You may no longer feel comfortable in your current corporate culture. You may no longer feel happy or comfortable in the new or emerging corporate culture. You may want to consider this a sign that it is time for you to think about quitting a job. A job is a tough thing to lose, even in a positive job-searching economy. You'll always want to make sure that you have prepared your world and your family for the job search. Most of the time, this means preparing financially and mentally for a change in employment, pursuing a new job while you are still employed, and accepting only a solid job offer before giving notice and making the change.